Results for - Are You Ready For New Year? Lunar New Year That Is! 1. 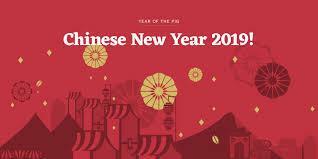 Lunar or Chinese New Year is celebrated by more than 20% of the world. It's the most important holiday in China and to Chinese people all over. The Lunar New Year is celebrated during the second new moon after the winter solstice, usually between January 21 and February 20 on the Gregorian calendar. Lunar New Year festivities begin on the first day of the first lunar month on the Chinese calendar and continue until the 15th of the lunar month, when the moon is full. This year 4717 begins on the first day of the New Year on the Chinese calendar, which is February 5th. 2019 is the Year of the Pig. Chinese legend holds that Buddha asked all the animals to meet him on New Year's Day and named a year after each of the twelve animals that came. The animals in the Chinese calendar are the dog, pig/boar, rat, ox, tiger, rabbit, dragon, snake, horse, sheep, monkey, and rooster. Also, according to legend, people born in each animal's year have some of that animal's personality traits. Do you celebrate the Lunar New Year, and which animal year were you born in (in the comments, please mention if you feel your animal sign represents your character if you would like)? 2. Here are some fun facts about this holiday. How many of these did you already know? Each day of the fifteen day celebration has its own traditions, such as visiting in-laws or staying home to welcome good fortune. Families gather together for meals, especially for a feast on New Year's Eve. Another tradition includes giving cash in a red envelope, called a "hongbao," to children and single adults. In recent years, the gift-giving has gone digital. 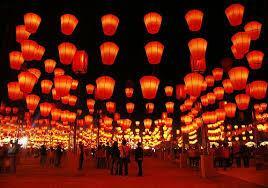 Lunar New Year ends with the lantern festival, celebrated at night with displays and parades of painted lanterns. Showering isn't allowed New Year's Day. Sweeping and throwing out garbage isn't allowed before the 5th (this year). This is to make sure you don't wash away the good luck! 3. Our new year celebrations are non-denominational, but most new year celebrations in different cultures and religions are not, and most are very important and significant holidays. 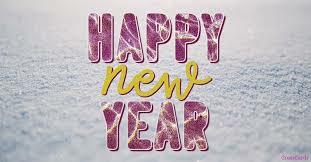 Do you celebrate any of these new year celebrations?